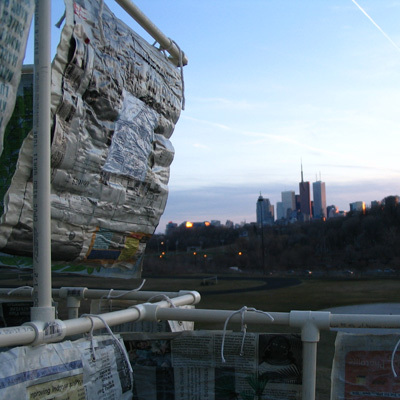 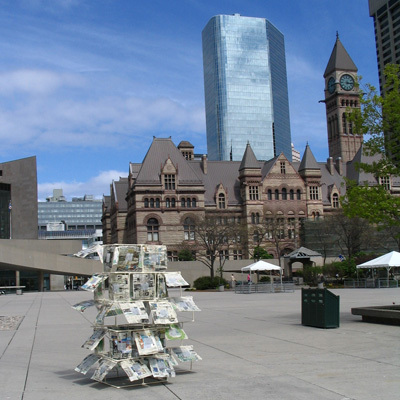 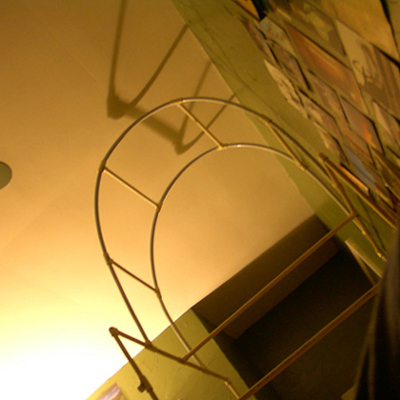 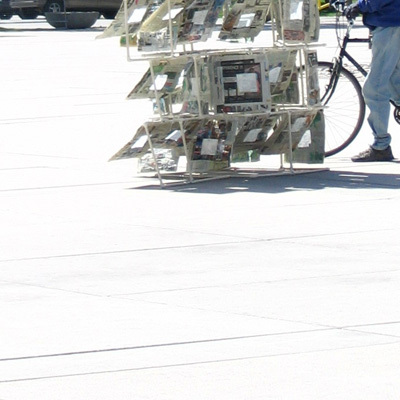 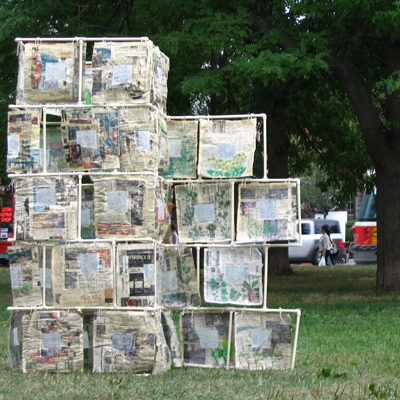 Multi-media temporary installation, multiple locations, Toronto, 2005. 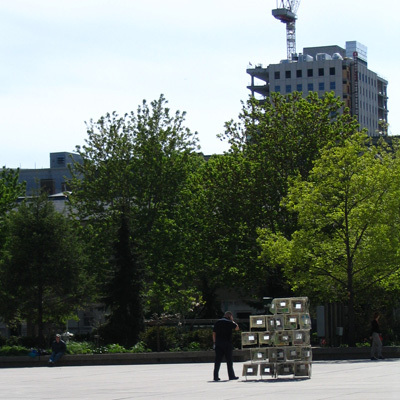 Structures explores the interrelationships between notions of home, lifestyle and public space. 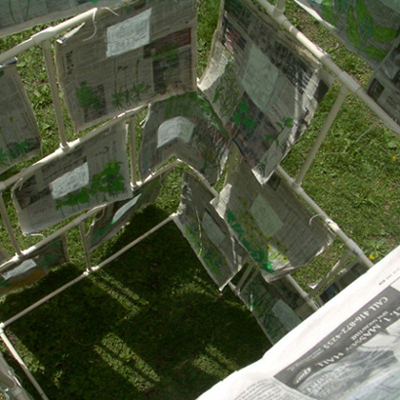 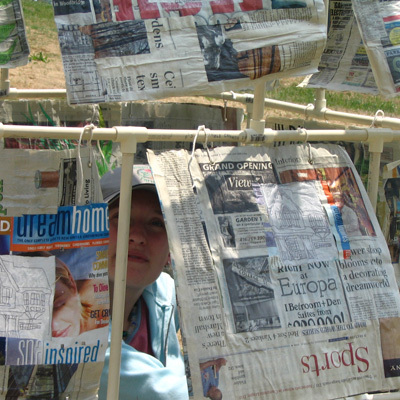 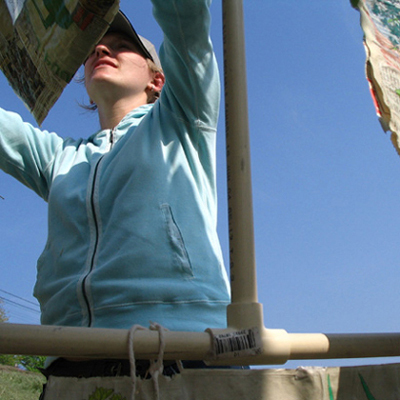 Newspaper clippings related to housing and sustainable living practices, and drawings of homes and plants are squished into chunky paper tiles. 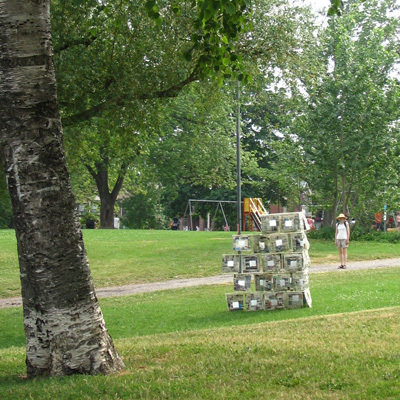 The tiles hang attached to the installation's PVC pipe frame, encouraging consideration of the fine balance between public and private life. 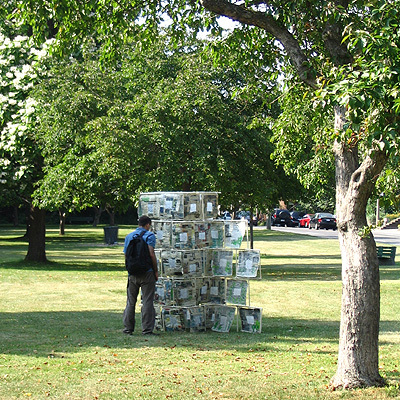 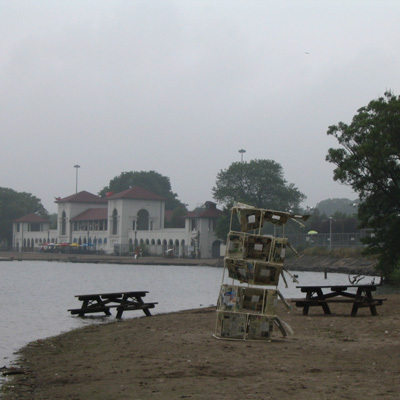 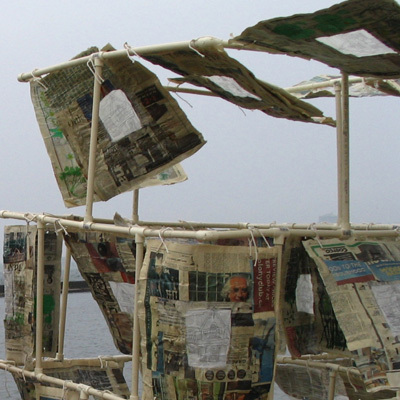 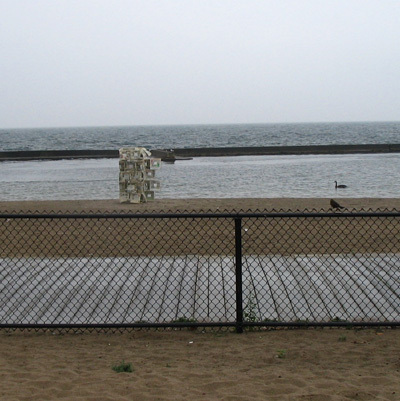 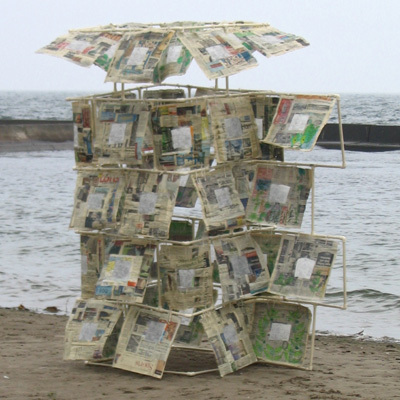 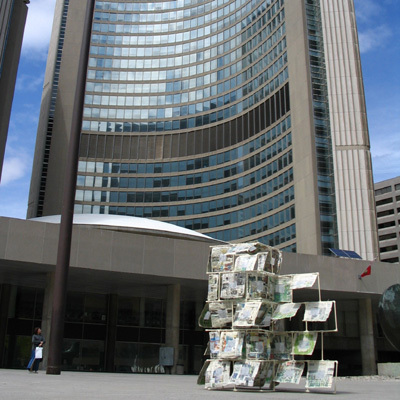 This piece was exhibited throughout the city of Toronto in parks, on beaches, and in front of Toronto City Hall.